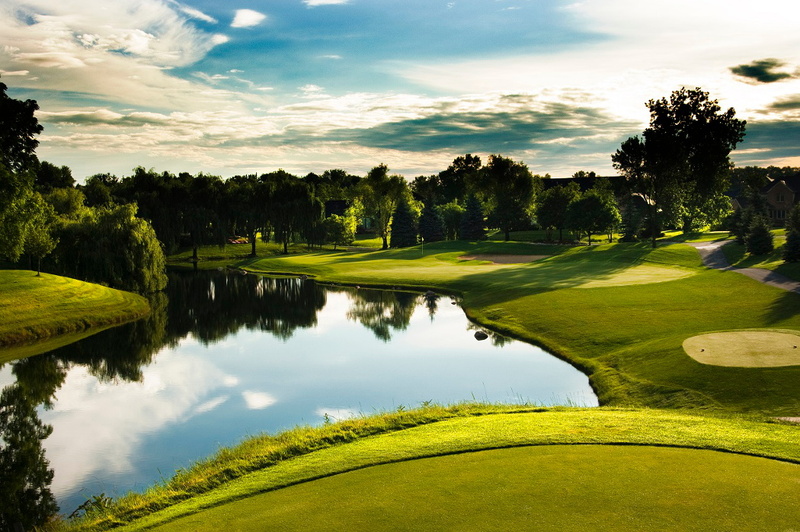 Sycamore Hills Golf Club, a nationally ranked Jack Nicklaus Signature Golf Course in Fort Wayne, Indiana, is the host venue for this week’s Hotel Fitness Championship Web.com Tour Finals. The event benefits the Evans Scholars Foundation and is being conducted by the Western Golf Association. The Hotel Fitness Championship will be televised on the Golf Channel Thursday from 3:00 p.m. to 6:00 p.m. and 9:30 p.m. to 12:30 a.m. ET. Friday’s second-round coverage is from 12:30 p.m. to 2:30 p.m. ET. The Hotel Fitness Championship airs Saturday from 12:30 p.m. to 3:00 p.m. ET, and Sunday from 5:00 p.m. to 7:00 p.m. ET. The Hotel Fitness Championship is the first of four Web.com Tour Finals events that will determine the second set of 25 players who will earn their cards for the upcoming 2014–2015 PGA Tour season under the Tour’s enhanced qualifying system. This week’s event will be composed of the top 75 players from the Web.com Tour money list, as well as the players who finished 126–200 on the PGA Tour FedExCup points list. The first 25 cards were secured Sunday at the Web.com Tour’s final Regular Season event, the WinCo Foods Portland Open in Oregon. The three other Finals events are next week’s Chiquita Classic in Davidson, North Carolina, at River Run Country Club; the Nationwide Children’s Hospital Championship at the Jack Nicklaus-redesigned Scarlet Course at The Ohio State University Golf Club in Columbus; and the Web.com Tour Championship in Ponte Vedra Beach, Florida, at TPC Sawgrass. Defending champion and 2008 Masters winner Trevor Immelman is one of 55 PGA Tour professionals committed to play in this week’s event. Immelman finished No. 145 on the PGA Tour’s FedExCup points list. Awaiting Immelman and the other players in the field is a renovated layout that will only enhance Sycamore Hills’ already lofty reputation built over a 25-year period. Sycamore Hills eliminated 10 acres of fairway, taking landing areas that were more than 40 feet wide down to 22 to 28 feet wide, and put hazards where pros will have to contend with them more. A state-of-the-art drainage system was also put into the bunkers, under the guidance of Course Superintendent John Thompson. The course has ranked in Golf Digest’s prestigious list of America’s 100 Greatest Golf Courses. The Jack Nicklaus design also tops the magazine’s Best In Rankings State-by-State. Golf World ranked Sycamore Hills in its list of America’s 100 Best Golf Shops. The course also boasts a nationally ranked practice facility. Sycamore Hills Golf Club has hosted several significant events since opening for play in 1989. In addition to serving as host of the Hotel Fitness Championship in 2013 and 2014, the course hosted the U.S. Girls’ Junior Championship last year. Sycamore Hills has also hosted the Junior PGA Championship, the USGA Open and Amateur Qualifiers, the Indiana State Amateur, the Indiana State Senior Amateur, the Jack Nicklaus Cup Matches, the Indiana PGA Section Championship, the PGA Professional National Championship Qualifier, the Mid-West Collegiate Tournament, and the USGA Women’s State Team Championship. Owned and operated by the PGA TOUR, the Web.Com Tour continues to identify those players who are ready to compete and win on golf’s biggest stage. Three out of four PGA Tour members are Web.com Tour alumni, and Tour alumni have won 388 PGA TOUR titles, including 19 majors. Note: Web.com Tour players Nos. 1–75 in bold. PGA TOUR players Nos. 126–200 are unbolded. Those in italics are either nonmembers off the FedExCup points list or PGA TOUR players with medical exemptions as noted.